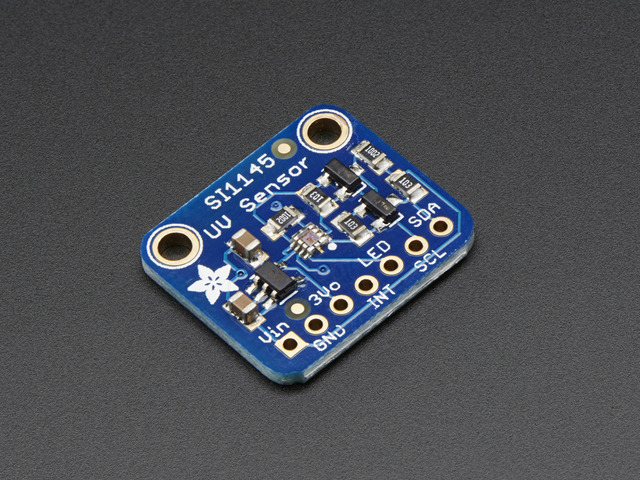 The SI1145 is an I2C sensor, so there are not a lot of pins to worry about. You can power the SI1145 from 3 to 5VDC, there's an onboard level shifter to safely bring the voltage down to 3.3V. Vin - this is the input to the voltage regulator. Power with 3-5VDC. Has reverse-polarity protection. 3vo - this is the output from the onboard regulator. If you need a clean 3.3VDC, you can draw up to 100mA from this pin. These are pins that you don't need to connect to but can if you want to use the more advanced features of the chip. 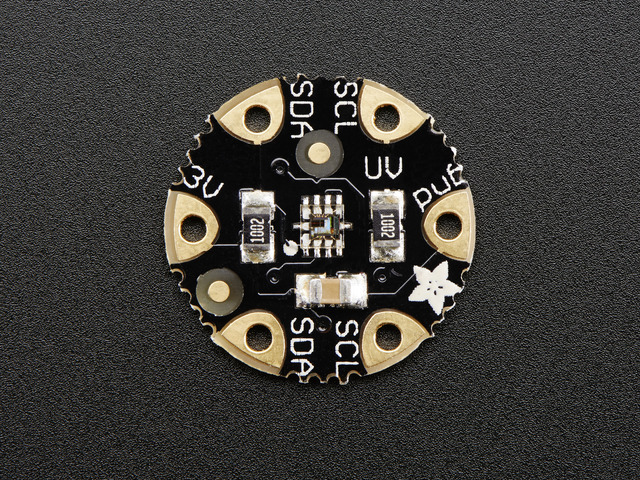 SCL - this is the i2c clock pin, connect to your microcontroller I2C clock master pin. SDA - this is the i2c data pin, connect to your microcontroller I2C data master pin. This guide was first published on Mar 21, 2014. It was last updated on Mar 21, 2014. This page (Breakout Pinouts) was last updated on Apr 23, 2019.